Being a devotee of Daryl Dixon doesn't just means you spend your weekends practicing your crossbow aim and tuning up your motorcycle. It also means that you show it off all week long! 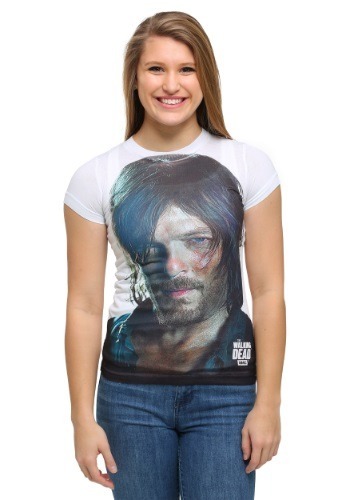 Make sure everyone knows that Daryl's number one in your book with this AMC licensed The Walking Dead t-shirt. With a supersized sublimated graphic of his famous face, everyone's going to know that you're a serious fan.